Close protection has a price, but very small compared to its value … A close protection agent, called bodyguard, must indeed ensure the safety of an individual, VIP, businessman, particular. This agent is also seriously trained on a regular basis, in order to guarantee the permanent protection of a client. He is indeed the protection guarantor and integrity preservation of a person. He has also the ability to adapt to any situation. It is possible to call security professionals to obtain a personalized estimation of the costs. Consider all protection strategies, plan unforeseen events and all security measures. He adapts to all situations, and anticipates danger. He accompanies the personality and takes care of him during a travel, an event or some manifestation. The bodyguard also analyses the crowd, so it will never become a danger for the VIP. He is capable of providing emergency care. The bodyguard protects a person against threats or strangers, and it also depends on the location, or the places where the VIP must go (crisis situations, hostile places, crowd overflows, aggression, crime, intrusions). Close protection can be done in public places, from airport to railway station, business or social events, restaurants. An agent can also looks after the client in private places, such as home, hotel, office, if requested by this one. All these elements are also used to calculate the cost of close protection. The bodyguard can also supervise various people, ranging from the politician to the show-business star, from the big boss to the influential businessman. The bodyguard fees adapt according to the customer’s requests, the duration of the contract and the possible trips. Bodyguard fees are often available only on estimate, since the missions to which an agent is assigned are generally different. It is necessary to always know the means that will be necessary to the implementation of an optimal security that will serve to protect in the best way the client during traveling. A trained driver can also be at your disposal to protect a personality. It will sometimes be necessary to manage all the planning of the personality, its times of departures and arrivals, which can be subject to sudden changes. The most optimal protection mode avoid to people all attacks or violence. This is done through professionalism and organization from a strategic point of view. The bodyguard’s upgrades are regular, and he is trained in the various techniques of fighting, shooting with firearms. All bodyguards are holders of a certificate that guarantees their professional qualifications, and they are in perfect physical condition. Rates for a bodyguard that are too low should arouse your suspicions. 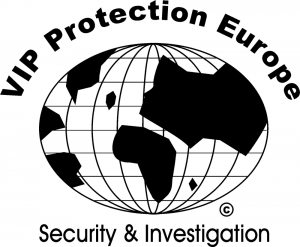 Nevertheless, it is possible to call upon a close protection agency without breaking the bank. Prices vary according to the timetable, i.e. the contract timing: night, holidays, weekends. They can also change depending on whether the mission is urgent or punctual. Fares also change when traveling in a risk area. It is therefore possible to benefit from the services of a cheap bodyguard, a simple phone call or e-mail will give you more information. Then you will get a detailed quote and information about the various services that a close protection agency can provide when you request it. Expertise and analysis of the mission requested will then take place, which makes it possible to genuinely estimate the means necessary to ensure maximum protection. The bodyguard fares guarantee you, for a good price, a deterrent that will take you away from all intruders or dangers. You may also be carrying valuable assets, a close protection officer will be in the best position to protect them in order to avoid theft. The price of a bodyguard varies depending on the security to be insured and the personal needs of the client. Some customers can indeed feel the need to find food in the middle of the night, and they maybe want to visit the city in which he stays, at all times. Again, these options for permanent protection and support, including administrative ones, can change the basic price. Your life, and your desires, are worthy! The price of a bodyguard is not expensive compared to the security it brings, and the losses he avoids. Call a close protection agency if you feel threatened, you or your family, whether you are an individual, an executive, working in business or in a diplomatic mission. A quality service will keep you away from all risks. The high-quality work of a bodyguard will give you serenity, 24/24, at a very good price. Call ours bodyguards, and get an estimate that corresponds to the services performed. Security guards have all the necessary qualifications to ensure safe travel, which is priceless!